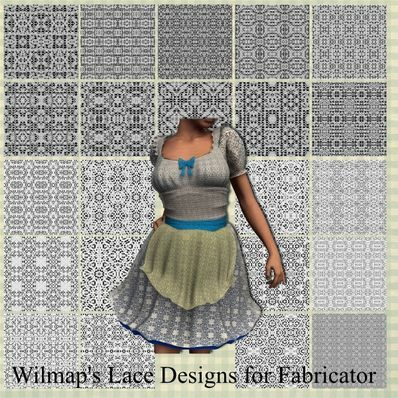 Pack of 22 Lace and Crochet design Shaders. They are all white so you can add any colours or patterns you like using the Surface tab. Holy smokes! It's just what I needed! Thank you! Thanks much. Used it in the DAZ May Freebie Challenge to retexture a couple of items. You can never have too much lace! TKU!